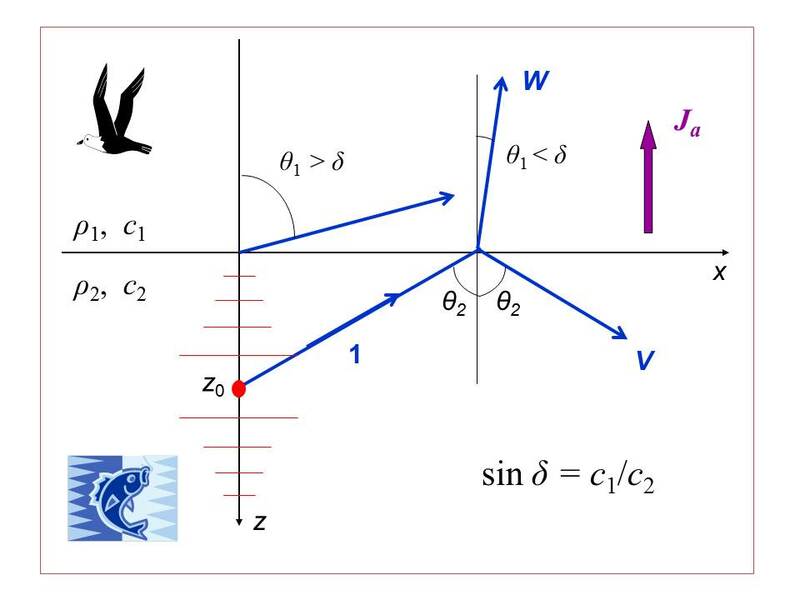 Transmission of sound through water-air interfaces is often considered in acoustic textbooks and discussed in popular literature in connection with questions like "Can we hear fish talk?" The conclusion is invariably that, because of a stark contrast in sound speeds in air and water and especially in their mass densities, only an exceedingly small fraction of the acoustic energy of an incident wave of a few hundredths of a percent, is transmitted through the interface. Anecdotal evidence to the contrary such as low-frequency sounds heard in the air during the operation of naval sonars or observations of feeding sea birds locating fish in murky water, tended to be dismissed. Recently we have discovered that, instead of being an almost perfect mirror, as previously believed, the water-air interface can be a good conduit of low-frequency underwater sound into the atmosphere. The interface turns out to be anomalously transparent for acoustic waves produced by compact, shallow sources in the sense that, first, acoustic energy radiated into air is much greater than energy radiated by deep sources and, second, almost all of the energy emitted under water can be radiated into the air. For instance, when an omnidirectional point source approaches the water-air interface, its transparency at first does not change but then rapidly increases by a factor ~3400 when the source becomes shallow in the acoustic sense. When a body oscillates with a period longer than about 10 seconds, it produces acoustic-gravity waves rather than audible sound or infrasound. Acoustic-gravity waves populate the gap between the infrasound and the surface gravity waves, which we can see on the ocean surface. Are air-water interfaces transparent for acoustic-gravity waves? We show in this paper that anomalous transparency persists at these very low frequencies. In fact, it can be strongly enhanced. For waves with periods around 4 minutes, power radiated into the air by a compact underwater source increases by several orders of magnitude compared to the power radiated by an acoustic point source. The physical mechanism responsible for this enhancement is associated with surface acoustic-gravity waves that propagate along the water-air interface. At low frequencies, the water-air interface becomes a window on underwater physical processes. With water-air interfaces occupying about two-thirds of the Earth's surface, the phenomenon of anomalous transparency is likely to have important geophysical and biological implications. For instance, anomalous transparency at infrasonic and low acoustic frequencies completely changes the outlook on the possible role of hearing in marine birds in location of their underwater prey. Contributions of underwater sources, such as collapsing bubbles, into low-frequency acoustic noise in the troposphere and heating of the upper atmosphere due to absorption of acoustic-gravity waves should be compared to contributions of sources at the ocean surface. At infrasonic frequencies, underwater explosions are located at a fraction of the wavelength from the ocean surface and, consequently, should radiate infrasound and acoustic-gravity waves mainly into the atmosphere. Combined with the ambient noise level in the atmosphere being several orders of magnitude lower than in the ocean, such a distribution of the radiated energy between water and air suggests that infrasonic observations in air may be better suited for acoustic detection of powerful underwater explosions than observations with underwater receivers. Reliable monitoring of such explosions is a powerful deterrent to clandestine tests of nuclear devices.